In August 2017, I appointed the Commission on Institutional History and Community and charged it with examining how the ways that we teach, discuss and represent our history shape our community. I asked the commission to make recommendations about how we can best present our physical campus to take full advantage of its educational potential in a manner that is consistent with our core values. Having received the commission’s report, I am sharing it with the university community in its entirety. I would like to express my profound thanks to the 12 members of the commission for their exceptional service on behalf of the university. They embraced their daunting task with enthusiasm and performed admirably under the leadership of the chair, Brian Murchison, the Charles S. Rowe Professor of Law. I met with them last week, shortly after they submitted their report to me. It is clear that throughout this substantial undertaking, they were remarkably persistent in talking through their differences and, in the process, developed deep and abiding respect for one another. This is just as I would have expected and should serve as a model for all of us. We owe them our gratitude for the thoughtfulness of their work and the manner in which they conducted it. The commission did extensive research and heard from more than 1,000 alumni, students, faculty, staff members and friends over the past nine months. They read the hundreds of emails that were sent, conducted on-campus listening sessions with faculty, students and staff, and held four telephone conferences for alumni. The resulting report reflects deliberation informed by both historical scholarship and a diversity of viewpoints from all corners of our community. The commission’s report is expansive in scope and rich in detail. It encompasses 118 pages, contains 31 distinct recommendations, and demands and deserves a careful reading. The commission explored our history, as I hoped it would, directly and honestly. 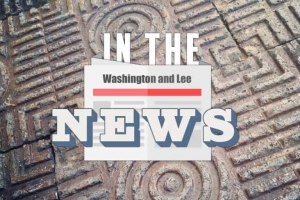 As the ninth-oldest institution of higher education in the country, Washington and Lee is a justifiably proud university that can withstand careful scrutiny. Indeed, we should welcome it, and the educational opportunities that it presents. I want to emphasize that all of the commission’s recommendations are just that — recommendations. Thus far, I have acted on only one, by publishing the entire document as requested. Over the coming months, I will consider the remaining recommendations in consultation, as appropriate, with W&L’s Board of Trustees, faculty, staff, students and alumni. Those of you who have read our recently approved Strategic Plan will note that some of the initiatives it contains harmonize with recommendations made by the commission. While the two processes were conducted independently of each other, it is heartening to see a shared appreciation for our institutional strengths and an affirmation of our aspirations in both documents. All of the commission’s recommendations will be considered in relation to the priorities established in the strategic plan. I promise our community that we will preserve and build upon our distinctive strengths as we pursue our aspirations. I will be in touch again at the end of the summer to share an update on our progress. In the meantime, if you would like to provide feedback on the commission’s report, we have established a special email address for your comments: CommissionReport@wlu.edu. Please include your name and class year or affiliation with the university in your message.